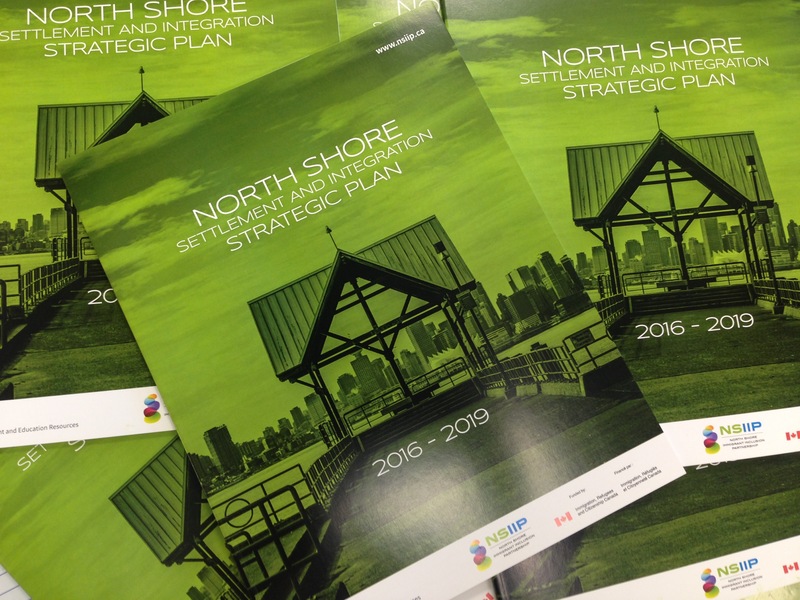 NORTH VANCOUVER, May 2, 2016 – More than 20 organizations and institutions in North and West Vancouver have joined forces to develop and release a strategic plan for immigrant settlement and integration on the North Shore. The plan sets out strategic priorities, goals and actions for the next three years aimed at ensuring that the North Shore continues to build on its reputation as a welcoming and inclusive region for new immigrants. The plan was created by the North Shore Immigrant Inclusion Partnership (NSIIP), a planning table with representatives from local governments, chambers of commerce, schools, libraries and non-profits. Funding was provided by the federal department of Immigration, Refugees and Citizenship Canada. More than 2,000 new immigrants move to the North Shore each year. “The goal of the plan is to improve outcomes for our newest residents and ensure that all residents on the North Shore have a sense of belonging,” says Elizabeth Jones, Executive Director of the North Shore Multicultural Society and co-chair of the partnership. The plan is the result of significant research and consultation undertaken in 2014 and 2015. With the strategic plan complete, NSIIP’s next step will be to establish working groups to create more detailed, three-year action plans related to each of the key priorities. The full plan is available on NSIIP’s website, along with consultation summaries and research reports that informed its development.